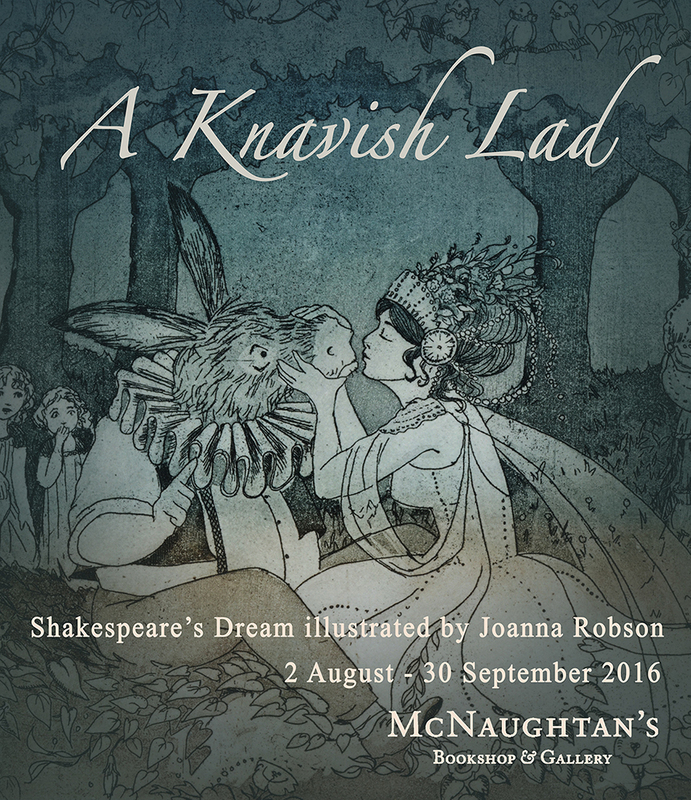 A Knavish Lad, 2 August – 30 September 2016. 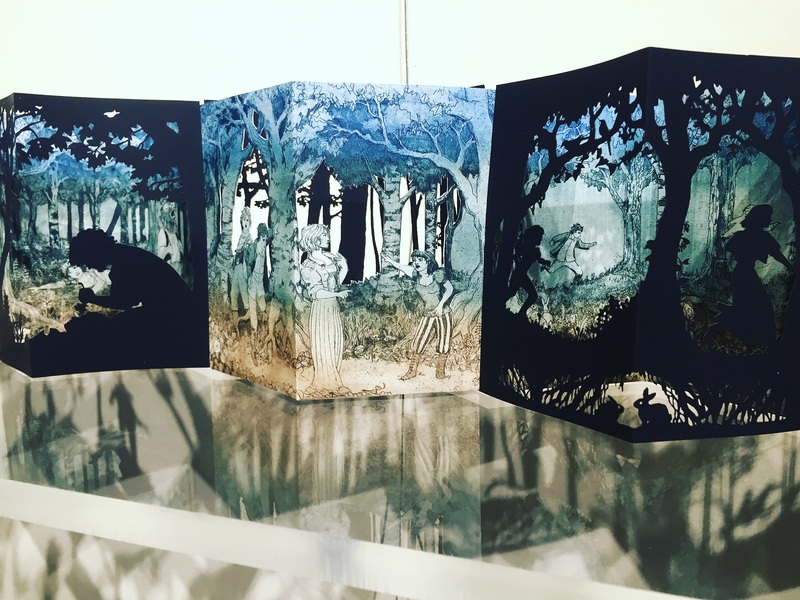 In A Knavish Lad Joanna Robson retells A Midsummer Night’s Dream as a wordless narrative using a combination of old and new technologies: intaglio printmaking and laser cutting. The result is a panoramic piece of book art that visually narrates the story and draws inspiration from the imagery of the text. A Knavish Lad has been over two years in the making and was created to commemorate the 400th anniversary of Shakespeare’s death. It was made possible with the generous support from the Hope Scott Trust. Joanna Robson creates limited edition artists’ books made from etchings and laser cuts. She uses concertina books as a format for visual storytelling, a format that allows her to create three-dimensional landscapes against which a narrative can be depicted. The books are illustrated by etchings or laser cuttings, and can be displayed as large, panoramic paper structures. She is inspired by artists and illustrators such as William Hogarth, Lotte Reiniger and Jan Pienkowski, and draws inspiration from history, literature and short stories. Joanna studied Modern History at the University of St Andrews before going on to complete a MA in Authorial Illustration at University College Falmouth in 2011. She currently lives in Edinburgh. A Knavish Lad is her first solo exhibition. To see how Joanna creates her artwork, you can watch a video of the laser cutting of a previous work, Nylmah, on Youtube, and she also writes about her etching process on her blog.